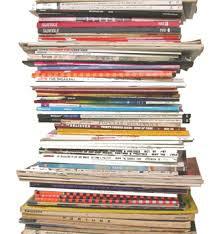 I currently have many old magazines that I am trying to figure out what to do with them. My biggest issue right now is that I hold on to them because I think that one day I may want to try a new recipe or remember a creative idea for home organization or find a kid's activity. I just can't figure out the best way to get a handle on it all without keeping every single magazine but still keep the ideas. Does anyone have a suggestion? I did come across some creative ways to recycle magazines so at least I will have options once I decide how to keep the information I want out of them. Also...I have some 3 ring notebooks that I keep. One is with recipes, one has house design ideas, craft ideas, etc. I actually reference them often & it keeps the clutter WAY down. I don't have any creative ideas, but I would be glad to loan you my husband for an afternoon. Magazines don't get to stay in our house even long enough to gather dust before he is looking to throw them away!